Say goodbye to super annoying stuffy nose and hello to a new refreshing world. 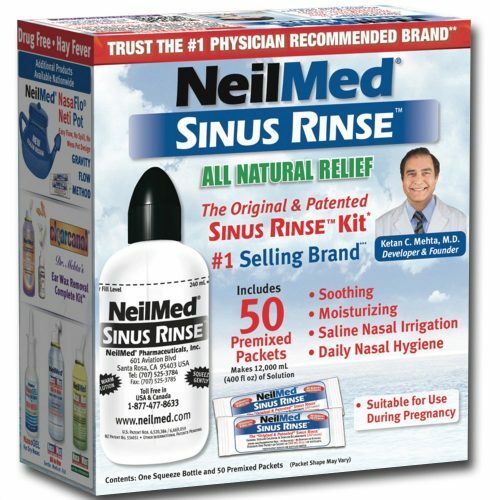 The Complete Soothing Saline Nasal Rinse Kit is a therapeautic Saline Nasal Irrigation & Moisturizing system that helps alleviate: Nasal Allergies & Dryness, Sinus Symptoms, Nasal Irritation from occupational dust, fumes, animal dander, grass, pollen, smoke, smog & house dust,etc. What’s better? It’s preservative, iodine & latex FREE, with no burning or stinging sensation when using. 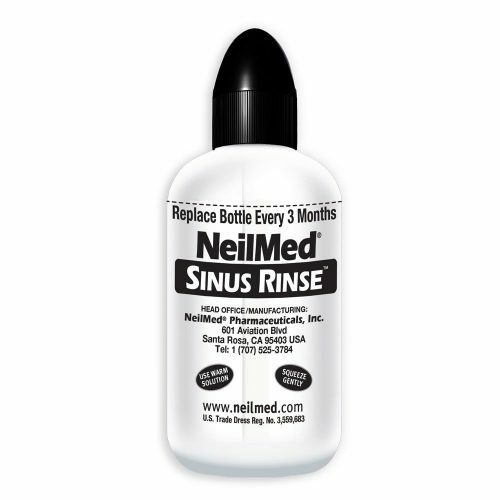 It may sound a little weird at first to imagine pumping saline water up into one nostril and out the other, but once you get the gist of it you’ll probably get addicted to the after-math! The Kit comes with: 1 Custom Designed Cap. 1 Rinse Bottle 240 mL. 1 Tube. 50 Packets of USP Grade Sodium Chloride & Sodium Bicarbonate Mixture (pH Balanced, Isotonic & Preservative & Iodine Free).